What I Learned Today » GPS navigation in airplane mode! GPS navigation in airplane mode! Recently on a trip to Ireland, in an effort to reduce my cellular data consumption, I put my phone into airplane mode while driving across the country. Imagine my surprise when, an hour later, I checked my phone and found that it was still correctly reporting my location, and giving me directions! The GPS receiver in the phone continues to operate in airplane mode. This had never occurred to me! I was able to confirm it at other times during the trip. 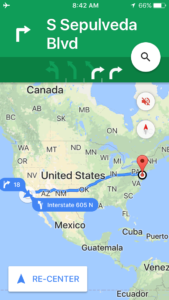 If you try to get directions from Google Maps when in airplane mode, it doesn’t work – you can’t search the maps. 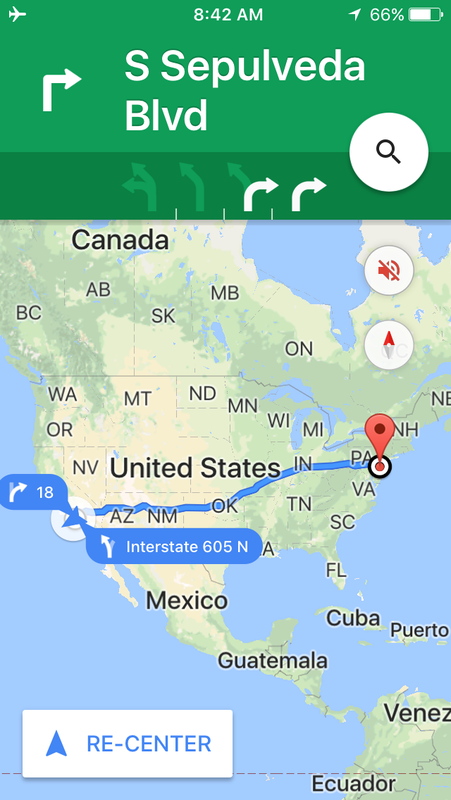 But if you get the directions started, then go into airplane mode (i.e., turn off cell data), then it will correctly continue to give you directions. However, if you deviate at all, it cannot re-route you, so you have to figure that out for yourself. 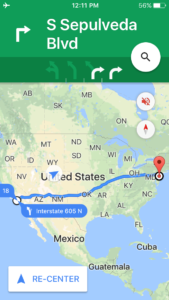 I decided to test this during a recent cross-country flight. 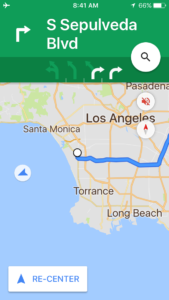 Right before a flight from Los Angeles to Philadelphia, I got driving directions from Google maps (see right; it wants me to start on Sepulveda Blvd) and then I put the phone into airplane mode. 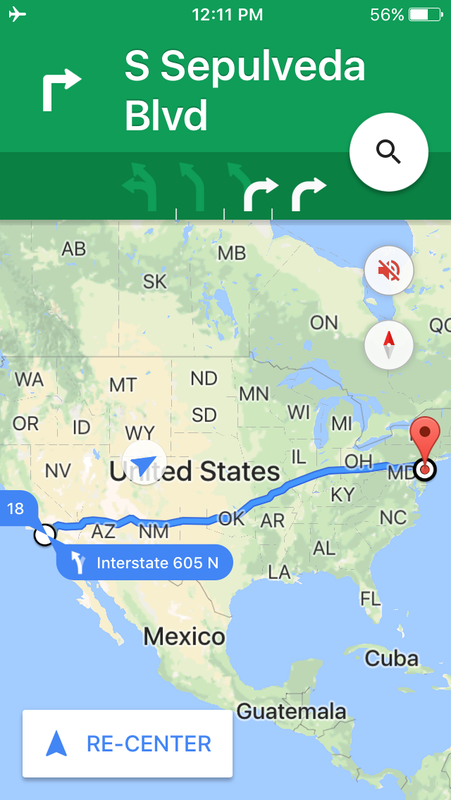 I checked on the directions periodically throughout the 5-hour flight. 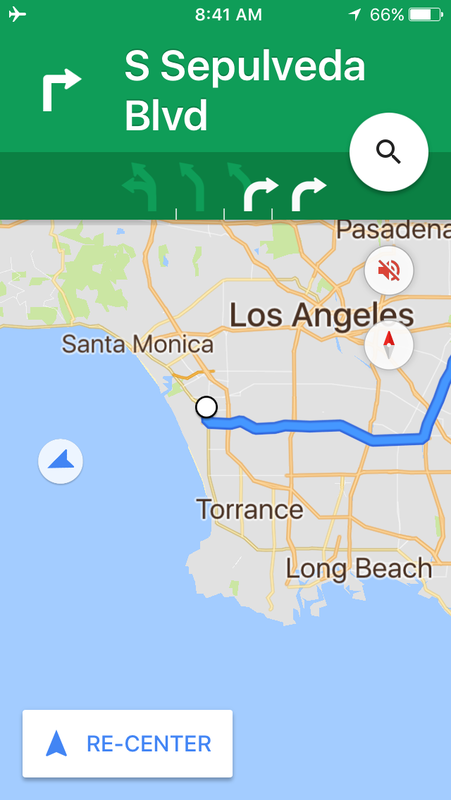 Each time we had made some more progress, but we were so far off the (road) track that Google Maps kept saying to go back to Sepulveda Blvd and start over. 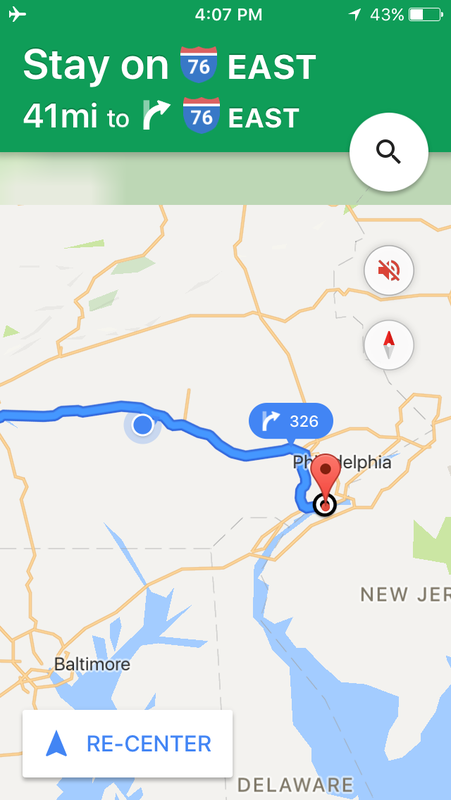 As we got close to the Philadelphia airport, we were close enough to match up with a road (briefly) and the directions made more sense.